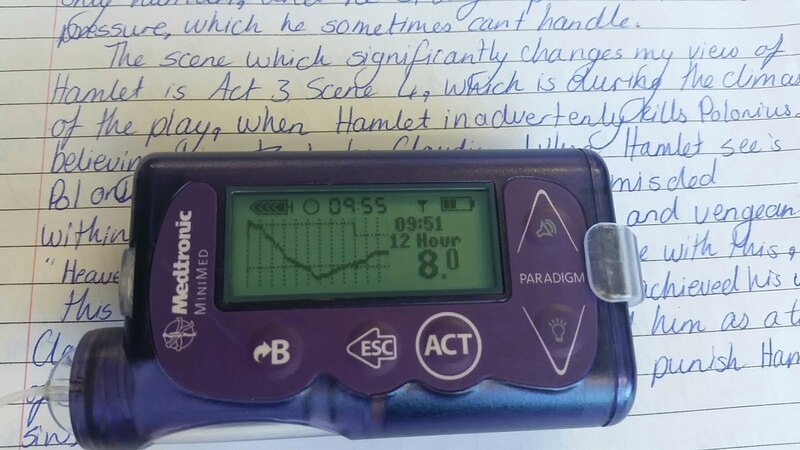 Before I was on an insulin pump, I was oblivious to the benefits that came along with diabetes technology. I was plodding along using Multiple Daily Injections (MDI), not realizing how much easier things could be for me. Things like exercise, hormone fluctuation and having more freedom with food could be improved with the use of diabetes technology. Before, I would delay having a snack because it contained too many carbohydrates and I didn't want to give myself another injection. I would have to have extra carbohydrates for exercise that I really didn't want to have. If I had any extra hormones such as adrenaline, my blood sugar would sky rocket, and it would be really hard to deal with. 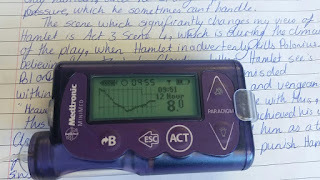 I moved onto an insulin pump from MDI around 8 months after diagnosis. I had read about them online, after reading online forums about how good they were and the benefits of them, I decided to find out more. At my next clinic appointment, I asked my team if I would be eligible for it, and they said I was, because I was young (age 15), I did sports and I was struggling a bit with food. 2 months later I started my training on how to operate the pump, and a month later everything was up and running. Having an insulin pump meant I could go out for a coffee with my friends and have something other than water or diet coke, because before I didn't want to have to take another injection. It meant I could control my blood sugar during exercise. I used to do rowing, and having the insulin pump meant I could use temporary basals (changing the background rate of insulin) so that my blood sugar was more stable. It also allowed me to have the occasional sleep in, because I didn't have to have my meals at as regular a time as when I was on MDI. When I started having Hypoglycemic seizures, that changed things. I had to quit rowing, because I would be putting myself in danger if I had a seizure on the water while I was rowing. When I had a seizure whilst on a flume, and put myself in danger of drowning, that triggered me asking my clinic about the possibility of a CGM (continuous glucose monitor, a device which would alarm if my blood sugar was dropping) because I was starting to get very anxious when doing anything that could potentially drop my blood sugar. My diabetes clinic sent a business case to the hospital to request funding for a CGM. Not many people get funded from the NHS for a CGM because it is so expensive, but because of my special circumstances, I was funded for full time use. After a meeting with my nurse, I got my CGM and it made my quality of life so much better. Before, I struggled so much with walking to school by myself or taking the bus by myself, just in case something happened and there wasnt anyone around to help. 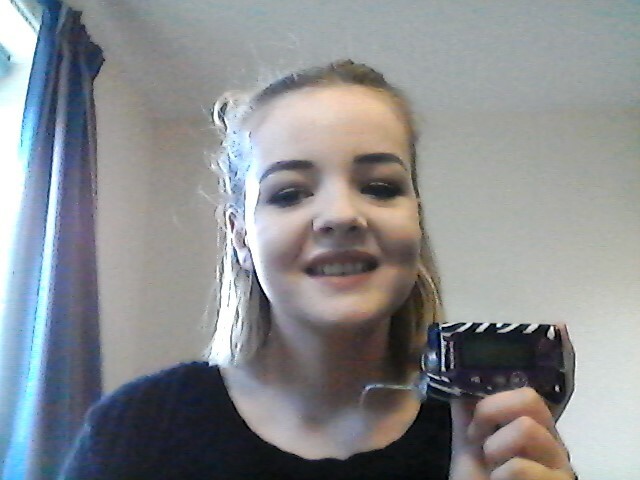 When I had the CGM, which linked to my insulin pump, alarming if my blood sugar was dropping so I could prevent my blood sugar going low, and in the case of my blood sugar actually going low, my insulin pump would suspend the flow of insulin to bring my blood sugar up. It helped my anxiety about doing things myself, made me less apprehensive about having blood sugar that was in range but towards the lower spectrum of things. Diabetes technology has made my life with diabetes better. I can control exercise better, by lowering my insulin beforehand rather than having to consume extra sugar. I can eat as much or as little as I please (within reason of course) without having to give extra injections all the time. I can handle stress slightly better (although this is still a tricky topic!). Most of all, diabetes technology, specifically my CGM, has helped me with anxiety about doing things myself. I do everything everyone else can do, such as having a job, going to University, having alcohol, doing sports and generally being a student. I don't feel I would be able to do all this to the extent I do, because I have the reassurance of the CGM. Diabetes Technology has made a positive impact on my Type 1 Diabetes and on my life.